For years, hospitals have searched for a solution to accurately track patients, personnel and equipment. Because of the unique character of hospital operations, people, physical assets and many clinical resources are constantly in motion. 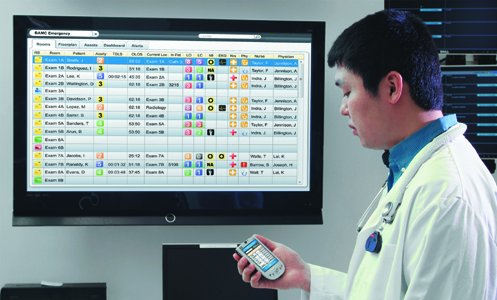 Hospitals can exhaust vast amounts of capital locating missing equipment, replacing lost equipment, and even in staff diverted to unproductive “hunting and gathering” tasks. It all adds up to the kind of preventable waste that hospitals just can’t afford. To address these issues (and more) hospitals have turned to RTLS -- Real Time Location System solutions. So How Can RTLS Benefit Your Hospital? Here are FIVE great ways. Just about every piece of valuable equipment in a hospital is mobile or on wheels. A simple remedy to the problem of finding equipment is to have a system that knows the whereabouts of all equipment at all times and anywhere on the campus. With Wi-Fi RTLS, you can have an asset tracking solution for locating equipment using a Web browser, even when equipment is locked behind closed doors. Reduce shrinkage, costs of equipment rentals and eliminate staff time spent searching for equipment by making your assets visible at all times. Knowing the location and status of clinical staff, patients, rooms and clinical equipment is very critical to the care of the patient as well as department workflow. Wi-Fi RTLS solutions such as automated indications of room cleaning status, analysis of patient wait times, and alerts regarding missing equipment in a specific department/unit can instantly improve efficiency and patient quality of care. Using Wi-Fi RTLS can easily reduce the amount of safety incidents and improve safety and peace of mind for clinical staff. Many patients, including psychiatric patients, trauma patients and the elderly may pose a risk to themselves by wandering or leaving their hospital bed. Keeping track of any wandering patients can sometimes be the difference between life or death for that patient. 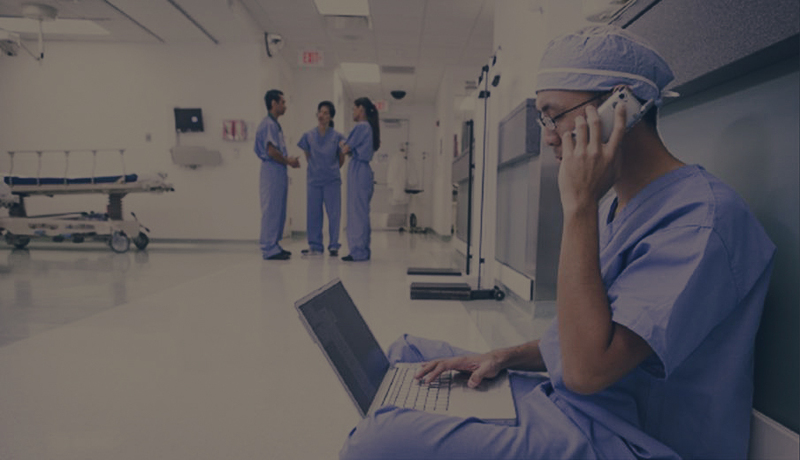 By leveraging your existing hospital wifi network, Wi-Fi RTLS locates all tagged patients at any time, anywhere within the footprint of the network. If a patient is in his room or on his assigned floor, RTLS will locate them. Should a patient walk into the fire escape, Wi-Fi RTLS will alert staff and security about the event. Clinical engineers face a variety of daily tasks including equipment recalls, preventive maintenance and corrective maintenance. The manual process of locating equipment throughout entire hospital campuses is labor intensive. Preventive maintenance is regulated by commissions and bodies who periodically audit the hospital’s equipment maintenance records. Wi-Fi RTLS helps improve regulatory compliance through higher levels of on-time completion of equipment maintenance. It also increases clinical engineering efficiency and productivity. Using Wi-Fi RTLS in healthcare for equipment maintenance will improve patient safety through successful recall management and timely equipment maintenance. The proper storage of pharmaceuticals, tissues, organs, blood, food and other items at specific temperatures in hospitals is a requirement for patient safety and maintaining an acceptable level of quality of care. Monitoring freezers and refrigerators in hospitals today is accomplished mostly by a very inefficient daily manual processes. Wi-Fi RTLS can easily track the storage temperatures using tags that collect data automatically. Alerts can be sent to a wide variety of devices, detailed reports of temperatures, as well as error conditions, are documented. This information is stored for long-term trending and analysis, even providing documentation for internal or regulatory audits. By using Wi-FI RTLS, a hospital can solve many problems that they face today. Here at SecurEdge Networks, we can help plan and design your complete wireless network, including using your existing wireless network for RTLS. Get started today by contacting us about how we can analyze and optimize your current hospital wireless network.